In my first Redesign in 20 minutes I redesigned OnGame’s poker lobby and today I’m doing a quick redesign of PokerStars poker lobby. PokerStars have a number of different themes you as a player can choose from. I’ve looked at the default theme, PokerStars Black Theme. When I thinking about these goals I found five areas which I believe could be better. The first thing I noticed when I looked at the lobby was that my balance wasn’t showing anywhere. It is important for a player to be able to know how much money he has when selecting tables and tournaments. And I would also put everything concerning the account balance together with the cashier button and the player’s VIP status. In my suggestion I’ve put all those three things at the bottom of the lobby. Most poker operators think that news and promotions needs to have a very prominent part of the lobby. 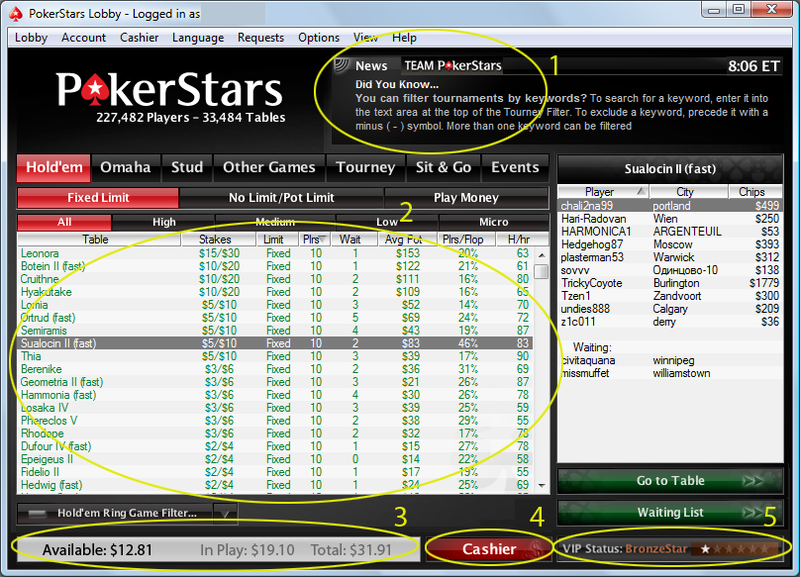 In PokerStars case I believe that they should put the “News” and “Team PokerStars” together. 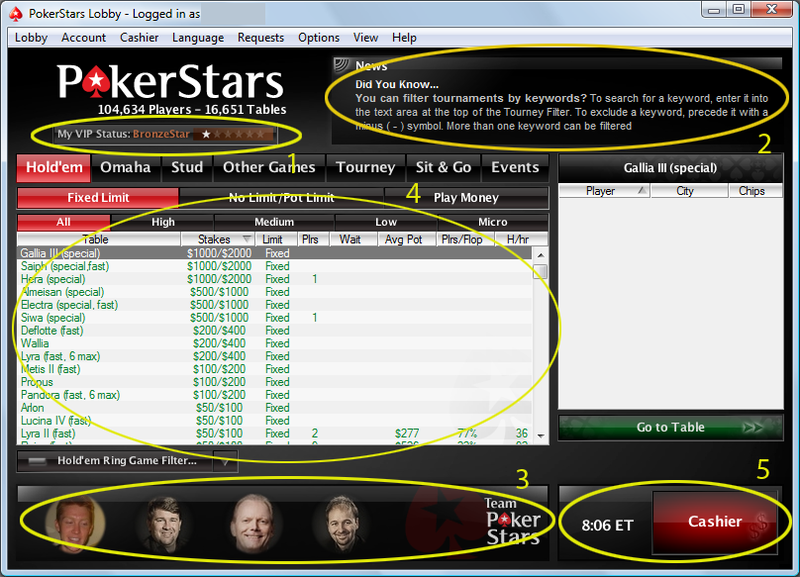 In my suggestion I’ve used tabs, one for News and one for Team PokerStars, giving the option to add more tabs later on. Players want to find a table as fast as possible when they are in the lobby. The size of the table list isn’t very big which in my suggestion will get more room when I’ve moved the “Team PokerStars” to the top. The cashier button is really really big! When you look at the lobby the cashier button really stands out. I know it is important to get players to deposit money and play. But do you have to have the button so big when you’ve made a deposit and have money in your account? You don’t really use the Cashier very often compared to the times you want to find a table and play! So in my suggestion I’ve done the cashier button smaller but I do believe it is as easy to find when you do want to deposit money to your account. I’ve also moved the clock to the top right. My redesign of PokerStars poker lobby. I’ve played a couple of hours today and really enjoyed it. I especially like the fact that it is possible to resize the windows to exactly the size you want. Both the lobby and tables. It’s great!